Congestion pricing has become a topic of interest, as many commuters are being affected by it. 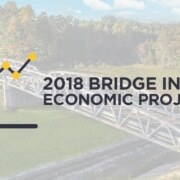 However, this audience also includes the bridge industry. With more bridges aging quickly, repairs and replacement are needed. But with limited financial resources, effective congestion pricing may be the solution for bridge managers, as bridge maintenance costs are often included in the price. However, there are pros and cons to the impact of this practice. Congestion pricing is the charge that people pay for using public assets, such as bridges, tunnels, or other infrastructure. In other words, it is the toll charges that commuters must pay. These charges differ in amounts of money depending on timely demand for use of the asset. For instance, in the case of bridges, the toll charge increases during peak hours. The fundamental concept is that at a cost of zero, public asset usage would increase astronomically. Thus leading to more overcrowding and faster deterioration of the infrastructure. Congestion pricing was created to control demands during times of peak use. Economists say that this pricing strategy is most successful when people understand the costs they pay during peak demand. This higher price forces them to pay for “negative” habits, like overloading bridges during heavy traffic. So, people who truly need to use the public asset, are more willing to pay the higher cost. Whereas, those who have more flexibility, could change the time of their commute or choose a different route. In brief, congestion charges encourage consumers to readjust their demand by location or time. Many large cities around the world are already adopting the practice of congestion pricing. Also, smaller cities that experience overcrowding are taking advantage of it. To alleviate the overcrowding issue, there are metro areas that are beginning to develop plans to include such charges in the next few years. Like everything, there are some negative effects to this practice. Critics claim that congestion pricing is not an equitable practice because it creates more economic and social burdens on certain communities. For instance, people who are dependent on a particular transportation service may find themselves restricted. Further, this practice may pose a decrease of economic activity in certain areas. Define the objectives: reduce traffic, lower congestion, generate revenue, etc. Determine the best way to set and collect fares or tolls. Ensure that revenue covers basic expenses while providing enough to pay for improvements and new development. Decide what to do with excess revenue. Prevent negative impact on vulnerable communities and populations. These are some of the points that should be considered so that the program can be successful. It is important to recognize that using good congestion pricing strategies can be a good way to control usage and slow down decay. Further, this practice can generate revenue that could be implemented in the repair, replacement, or addition of infrastructure. 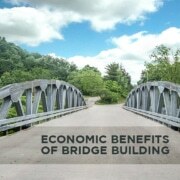 The good thing is that U.S. Bridge steel bridges stand the test time. Our bridges are engineered and manufactured with longevity at its core. Contact us today or get a quote online and start your project today.